Amazing Grace, Simple Gifts, In the Sweet Bye and Bye ... these are songs with history, songs with meaning, songs that have been an inspiration and a guiding light in the lives of the American people for nearly 200 years. 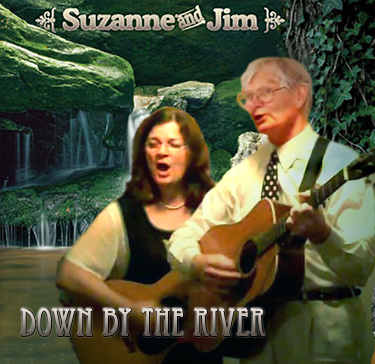 Suzanne and Jim blend their voices and instruments in these melodies from earlier times. To gather together, to laugh, to love, to reflect are the themes of this heartfelt and informative program. The "Second Great Awakening" began in the 1800's, a spirited evangelical movement that erupted out of Kentucky and swept the nation. At camp meetings and revivals people gathered to sing new songs, often sheltered under crude "brush arbors" . The music was occasionally taught by a system called Shape Notes, a method of notation that did not use the standard musical forms and which could be readily learned by untrained singers. The early 19th Century was an exciting time of expanding social awareness characterized by a renewed patriotism and the spirit of Jacksonian Democracy. The temperance, women's rights, and abolition movements all found their beginnings during this pivotal era in our history. The songs of inspiration handed down from that time still resonate with modern Americans. Suzanne and Jim set the stage for a delightful hour that brings audiences back to the songs of our American heritage. The duo's performance is based on their research into archived collections of historic music and is presented in an engaging, informative style with expert picking and singing (and some homespun humor). It all adds up to an unforgettably good time! "This music has a feel similar to the best-selling "O Brother, Where Art Thou" soundtrack, but even more authentic."